Click here to view via the BBC News website. This entry was posted in News, Radio History, Shortwave Radio, Videos and tagged BBC, Cold War, Jamming, Mark Hirst, Shortwave Radio Jamming, Soviet Union, Videos, VOA on April 12, 2018 by Thomas. Ambulances in Stockholm are testing a system that interrupts in-car audio systems to warn drivers that they need to get through. The solution was developed by students at the KTH Royal Institute of Technology in the city. It broadcasts a voice warning, while a text message also appears in the radio display. It uses an FM radio signal to jam drivers’ speakers and stop music playing. It will only be able to alert cars that have their radios turned on. It can also interrupt CDs and music connected via Bluetooth. The radio transmission is sent from the emergency vehicle to nearby FM tuners that are equipped with RDS, a communications protocol for embedding small amounts of digital information in FM radio broadcasts. It is most commonly used to display the station or song title. […]The city will begin testing the system in a limited number of ambulances and fire engines, with plans to expand across the country later this year. The warning system can work out how far in advance messages need to be heard depending on the speed of traffic. This entry was posted in FM, News and tagged FM, Jamming, Sweden on January 20, 2017 by Thomas. The problem for radio amateurs is that the battle is taking place in the 40 meter phone band 7,145 and 7,175 MHz with the jamming signal reported by the IARU Region 1 Monitoring System (IARUMS) to be 20 kHz wide on each channel. The on-air conflict has been going on for years; Ethiopia constructed new transmitting sites in 2008 and is said to use two or three of them for jamming purposes. The interfering signals can be heard in North America after dark. According to IARUMS Region 1 Coordinator Wolf Hadel, DK2OM, Radio Eritrea is airing separate programs on each frequency. He said in the IARUMS September newsletter that telecommunications regulators in Germany, Austria and Switzerland have been informed, so they could file official complaints. This entry was posted in Ham Radio, International Broadcasting, News, Shortwave Radio and tagged Amateur Radio, Ham Radio, Jammers, Jamming, Radio Eritrea, Radio Ethiopia on October 26, 2016 by Thomas. North Korea has been from the beginning of March continually signal jamming radio broadcasts on the shortwave frequency used by the South Korean non-profit broadcaster Unification Media Group (UMG). 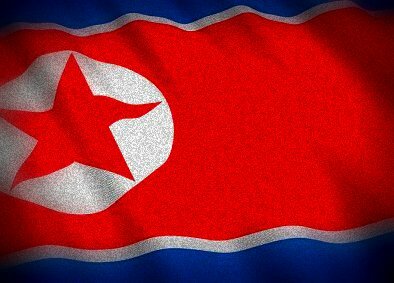 Given the present situation, in which North Korean residents might be influenced by outside information condemning the regime and explaining the purpose of the sanctions imposed by the United Nations, the regime has showed the will to block sources of outside information that might cause unrest. The shortwave frequency […] in question, 7515 [kHz], has been actively jammed starting on March 1st making it extremely difficult for North Korean listeners to tune in. On the 15, UMG organization began using three receivers to test out reception at that and adjacent frequencies on a daily basis and was able to confirm that the exact signal is being jammed. The blocking effort is being concentrated on the time period from 10pm- midnight. Specifically, from 10-11pm the jamming is very strong. The signal jamming is undetectable from midnight to 1am. The signal blocking became weaker at midnight on March 15, from which point onward the entire three hour broadcast was audible. Starting on the 17, UMG moved the frequency, but the jamming operators seemed not to notice because the interference continued on the old wavelength. This entry was posted in Broadcasters, News, Shortwave Radio and tagged Andrea Borgnino, DailyNK, DPRK, Jamming, North Korea, North Korea Jamming, Shortwave Radio Jamming on March 22, 2016 by Thomas.